﻿ Lake Alma State Park Campground - Ohio. Find It Here. In the midst of some of Ohio's most rugged, scenic territory lies 292-acre Lake Alma State Park. A quiet 60-acre lake and a gentle creek meandering through a wooded valley provide a restful setting for park visitors. 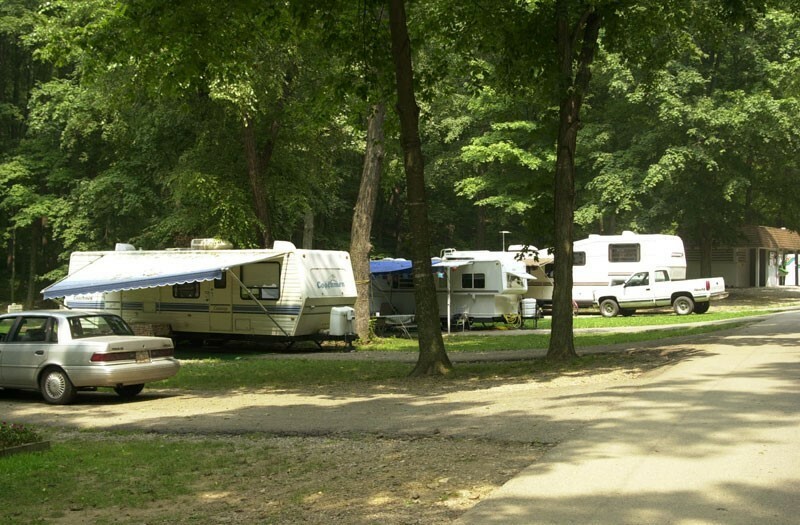 Five full-service campsites offer electric, sewer and water hookups; 67 electric sites; 10 non-electric sites. Pets are permitted on designated sites. Facilities include ADA-accessible shower house, flush toilets, tables, fire rings, dump station and drinking water. Playground is located in the campground. Camp office loans games and sports equipment to registered campers. Non-powered watercraft and boats with electric motors only are permitted on Lake Alma. Boat rentals are available from the camp office. A dog area with lake access offers a place for your pets to frolic and swim without a leash. A public beach is located on the north side of the lake. Latrines and parking are provided. Full hookup, electric and non-electric sites. Showerhouse, flush toilets, dump station, playground.